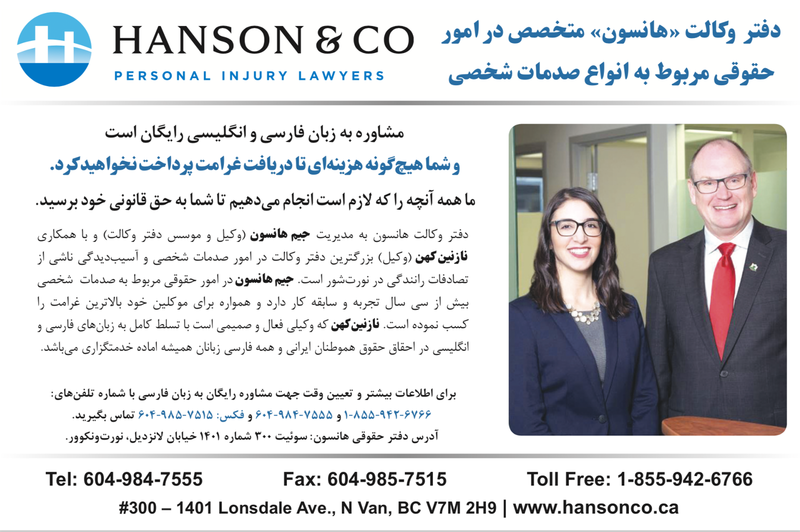 We have legal services available in Farsi. Whether you've been in a Car, Boat, or Bike Accident we are here for you. We give free claim consultations. Call or Visit Today! Conveniently located on Central Lonsdale, Hanson & Company is the North Shore’s largest personal injury law firm.